In the 2006 cult-classic documentary film “Who Killed the Electric Car?” consumers, yearning for a petroleum alternative, mourned the loss of the General Motors EV1. The plug-in vehicle lived a brief and controversial life during the 1990s in the United States. Upon EV1’s demise, electric vehicle proponents wanted someone to blame for the car’s collapse. EV1’s final postmortem diagnosis in the film was determined to be “death by a thousand cuts.” The alleged perpetrators included the government, the automaker, and oil companies. Inadequate batteries, lack of consumer interest, and insufficient electric utility infrastructure were cited as contributing factors. 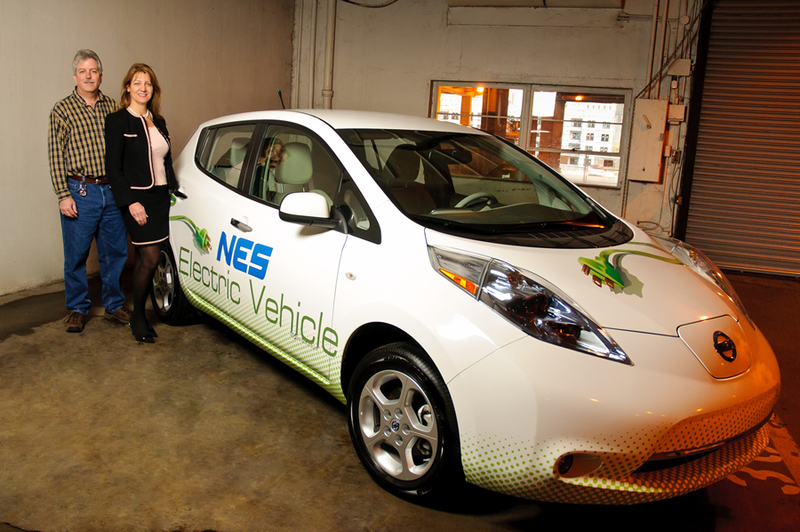 “Electric vehicle deployment is brand new and, like a lot of other utilities, we are still figuring out how this will impact our infrastructure and the best way to prepare for it,” said Brown. “If people come home from work around 4 or 5 o’clock in the afternoon on a hot day, plug in their electric vehicle and turn on their air conditioner, we have to build up the infrastructure to serve that load,” he said. The maps were designed and prepared in 2010, two years ahead of the Leaf’s deployment, to help the utility prioritize maintenance projects, upgrade outdated equipment such as wires and transformers, and shore up facilities that would likely experience heightened demand. According to a 2007 J.D. Power and Associates’ survey, hybrid buyers are older than the average new vehicle buyer with the most likely age group being 45 to 54. Hybrid buyers drive fewer miles on average and tend to be female. And, according to a 2007 Scarborough Research survey of 110,000 adults, hybrid buyers are more than twice as likely to report themselves as a Democrat than as a Republican. 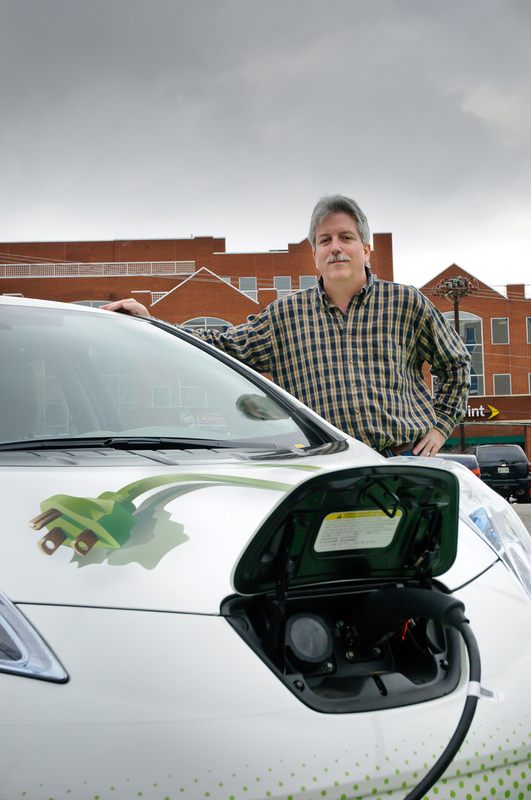 He then developed a set of formulas and custom functions using Microsoft Access and Excel to score the raw data in a way that showed which Census blocks were more likely to be home to electric vehicle purchasers relative to other blocks. The factors Brown selected to support the study included age, gender, population density, education, household income, travel time to work, and political affiliation. Individual factors were scored separately from 1 to 100. The factors were then added together to give a sum score which was also reduced to be between 1 and 100. The study’s design allowed the various factors to be weighted. For example, if the age factor was considered more important than education, it could carry more weight in the sum score. 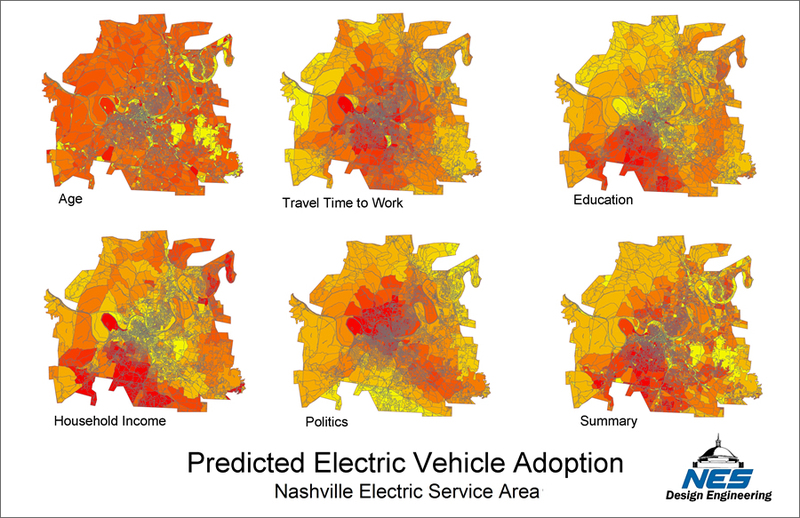 The first batch of maps identified census blocks with people who have a strong affinity for electric vehicles. However, some were large, rural areas containing only a few people. Since that would amount to very low impact on the electric system, Brown used ArcGIS to produce an impact map where each census block’s summary score was multiplied by its population density score. 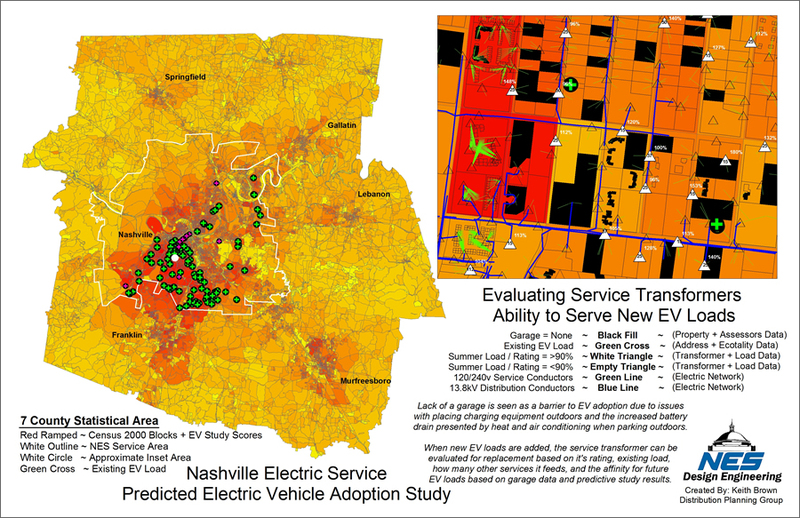 The impact map more accurately predicts areas of actual electric network load growth due to clusters of electric vehicle adoption.